HIS & HERS Energy Efficiency supports contractors, architects, and property owners to meet higher energy efficiency standards required by new building codes and utility incentive programs. 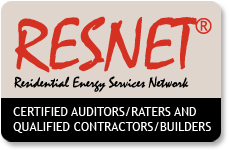 We assess your building and design fixes for improved comfort, health, and energy efficiency. We support you through planning and construction phases to meet new energy efficiency standards. We handle the paperwork and support you in leveraging rebates to align high performance with cost-effective. 2012 IECC & Stretch Code.